When the veraison period had just gotten started, it was time for many people in Italy to go on holiday. So, also the staff at Montemaggio. 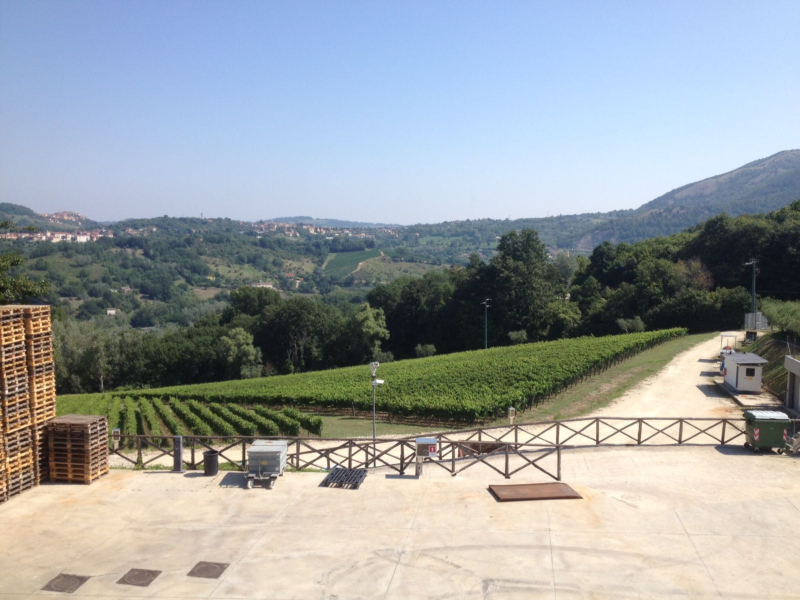 The winery was closed for two weeks around the Ferragosto holiday in mid-August which is considered more or less the peak of the summer in Italy. Ferragosto is a holiday that has its origin in the Roman era where the Roman Emperor Augustus instituted this holiday in year 18 B.C. The word Ferragosto stems from the Latin expression Feriae Augusti which means the resting period in August. This today translates into the holidays and the period when most people still have time off from work. Until recent years, most cities in Italy were indeed deserted during the month of August in favour of crowding the beaches and the mountains all over the country. Nowadays, also people in Italy try to spread out the holidays to the other summer months. How did then the people at Montemaggio spend their holiday this year? We asked the staff at Fattoria di Montemaggio about a wine memory from the holidays. Not everyone had anything specific memory to share this year. 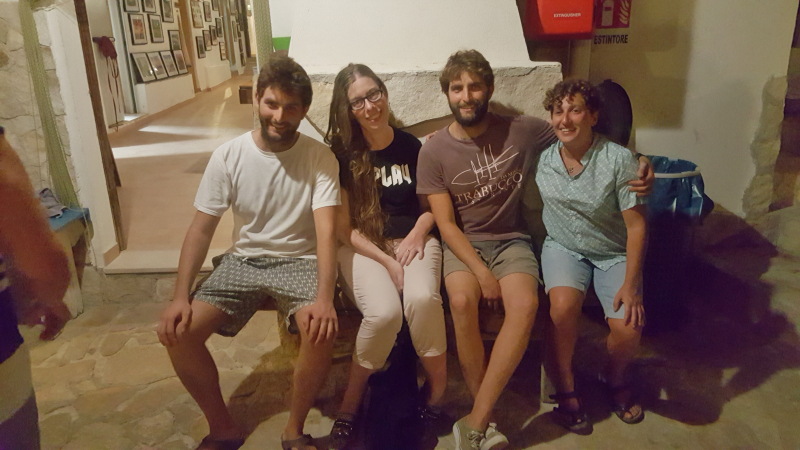 However, Valeria, Ilaria, Edoardo, Katarina, and Marie will share a fond memory from the summer holidays in relation to wine. Valeria, the owner of Fattoria di Montemaggio, will tell us about her exploration of a couple of wineries in Galizia. 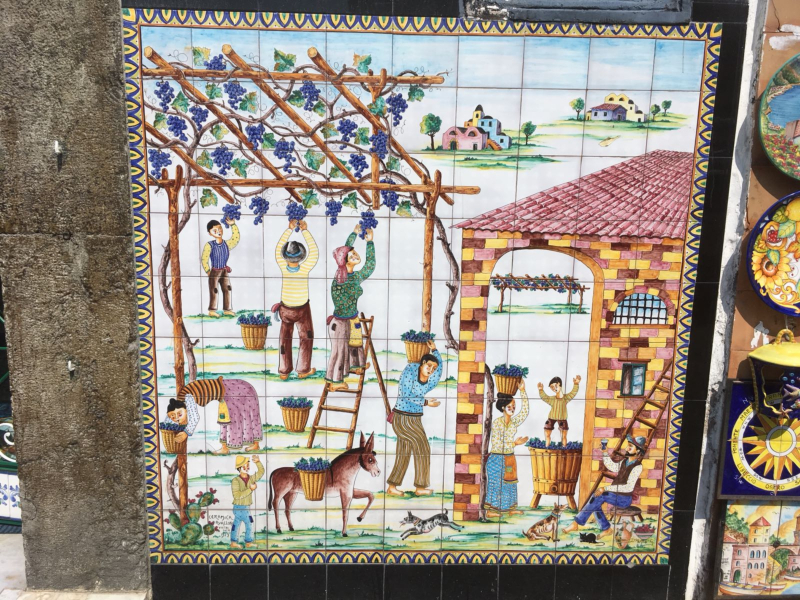 I have had many vacation wine experiences that stretch out for the past 15 years, but the most recent and interesting discovery in my collection of vineyard visits would be Galizia, the north-west green part of Spain that many people don’t even know about. I visited in the middle of June and the temperatures were rather low, from 11 to 18 degrees with quite a lot of rain here and there. The tradition of winemaking has been there for centuries. They use granite blocks instead of wood to construct their vineyards, in some part vines are planted low to get the heat from the ground, in some, they are planted very high into a pergola to create a passage of air and dry the humidity as there is really a lot of it there. The forests are lush with greenery, there is mist everywhere and particles of water seems almost tangible in the air! 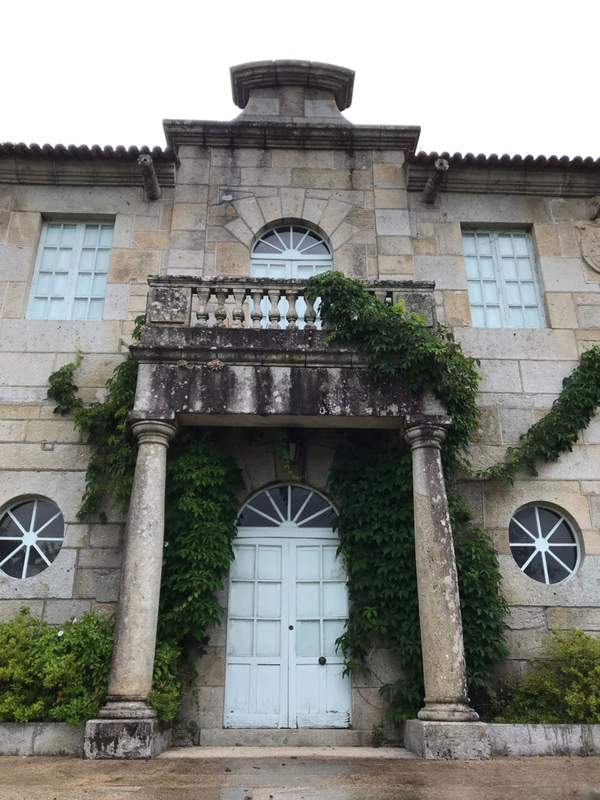 ;) The estate we visited here was Pazo Baion where Albariño, of course, is the king. 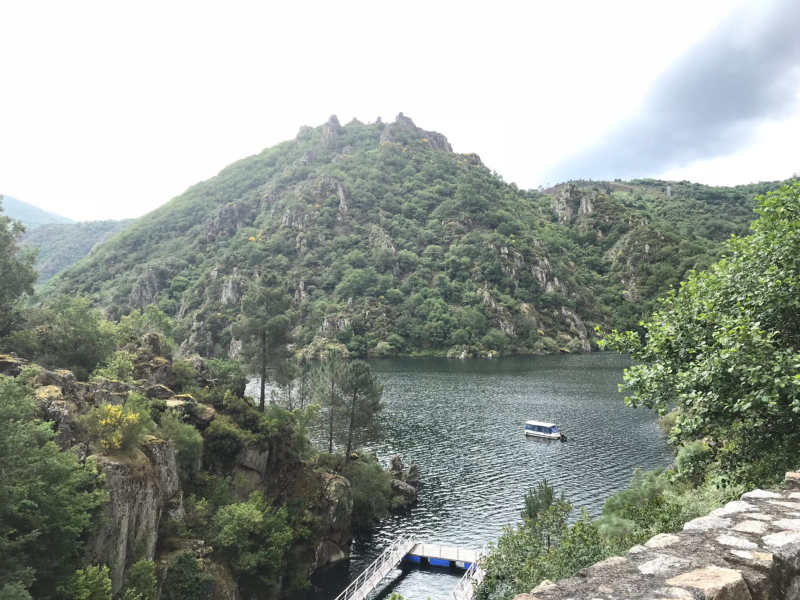 The most vivid and interesting part was the canyon of the river Sil and the Ribeira Sacra wine region. The altitude here is up to 500 m and many estates cultivate the grapes on the terraces of cliffs on the river. Those terraces are there since the Roman era and to bring them back to the modern glory you will need about one year of hard work and investment. The climate on both sides of the River are completely different and it allows for the production of more red than white wine which is quite strange for this part of Spain. The estate we visited here was Bodega Algueira. 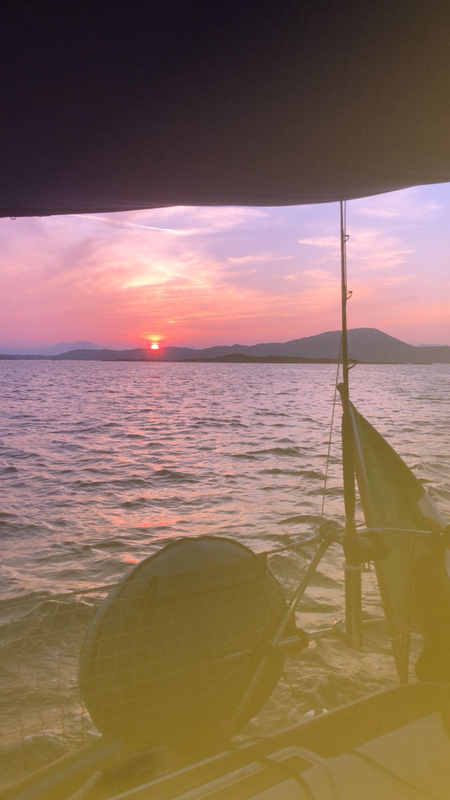 During the holidays, Ilaria, the Estate Manager at Fattoria di Montemaggio, and her family often go sailing as they are very passionate about it. Also this year, they enjoyed sailing around the island of Sardinia. This is indeed a very beautiful Italian island with amazing culture, history, attractions, beaches, and much more. Ilaria has chosen to briefly tell us about one particular summer evening. At the small island of Tavolara, at sunset, I and my family enjoyed a lovely dinner based on mussels and calamari. We paired it with an excellent Vermentino from Sardegna…fresh, fruity, and with the right amount of dryness! 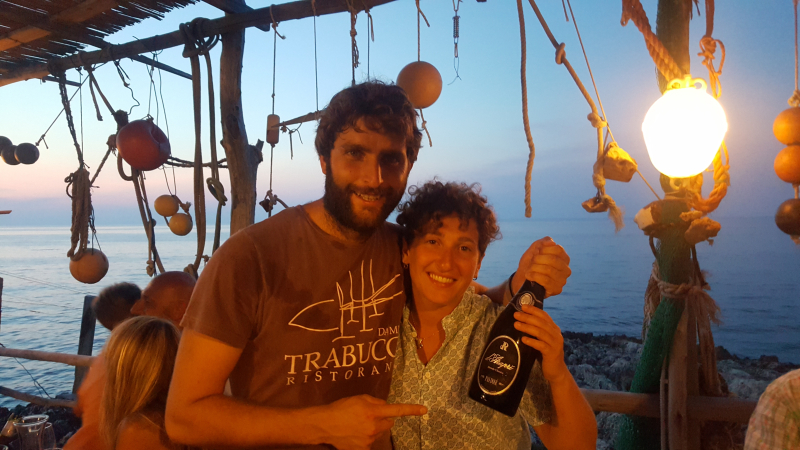 Earlier this summer during the holidays, Edoardo, the Cellar Manager at Fattoria di Montemaggio, went to Campania. More specifically, I visited Irpinia in the province of Avellino that is a district well-known for its production of the white wines DOC Falanghina di Sannio, DOCG Fiano and also the interesting red wines of DOCG Taurasi. I visited the village of Tufo that was famous in the past for being a mining place of brimstone. Nowadays, it is well-known for the DOCG Greco di Tufo white wines. In Tufo, it was also possible to visit an incredible underground winery that has been dug out in the tufo rock. 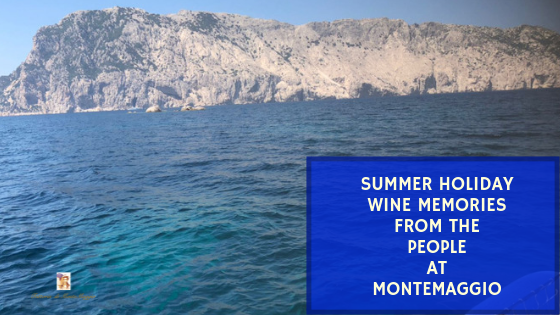 In August this summer, Katarina, the all wine-related content writer and social media manager at Fattoria di Montemaggio, ventured down to Puglia and will tell us more about a wine memory from there. One of the evenings, we went for dinner at the fabulous restaurant Al Trabucco da Mimì just outside Peschici. (Trabocco is an old fishing machine typically used in Abruzzo and on the Gargano.) 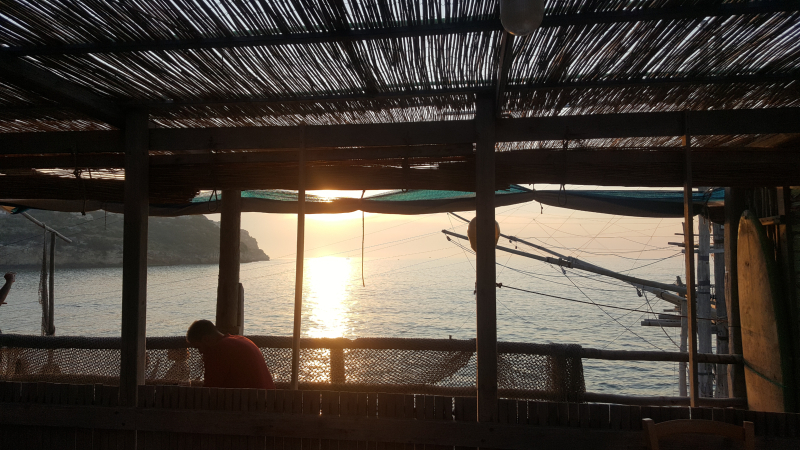 This is a restaurant and bar that is located just by the sea and you have a lovely view of the sunset if you go there for an aperitif or dinner. Of course, with the different seafood courses, we enjoyed a bottle of the D’Araprì Pas Dosé Metodo Classico sparkling wine that is a blend of Bombino bianco and Pinot Noir. 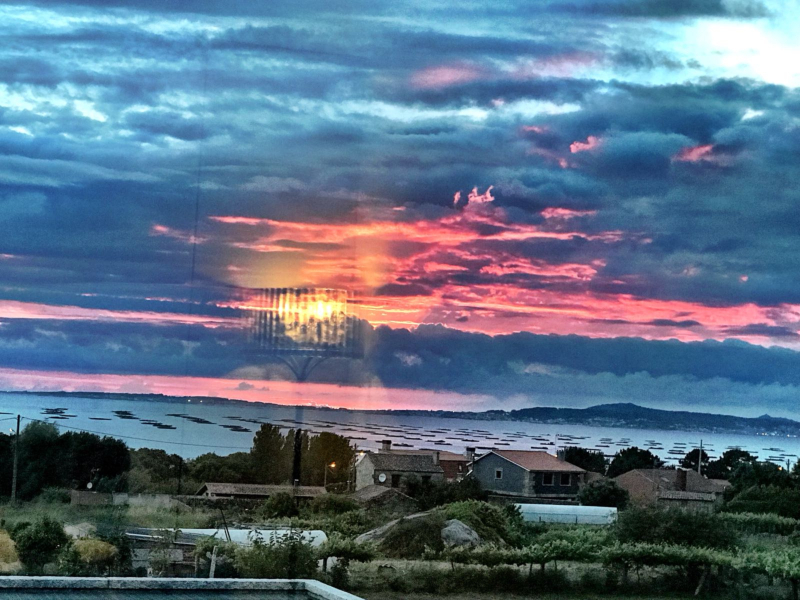 We had a fun evening with a fantastic view of the seaside while we sipped not only sparkling wine but also a local white wine made with the Fiano grape. A wine memory directly from Tuscany this time. Marie is the fairly new more tourism-related social media manager at Fattoria di Montemaggio. I’m in love with Tuscany, its culture, architecture, medieval villages, people, food, and of course, wine. Nowhere else in the world will you find wine made with passion and pure dedication…at least that’s what I believe! I wanted to celebrate my birthday in Tuscany and that’s exactly what I did. I arrived the morning of my birthday, just as the things were getting starting. I love this time of day in Italy, there aren’t many people on the streets and the locals are busy with their daily chores. The heavenly smell of coffee and pastries are in the air and men and women are in the coffee bars discussing things I don’t understand. I love watching the locals; Italians are so eloquent with their hand motions and facial expressions. It’s a great thrill for me to people watch. My favorite thing to do, however, is to meander around medieval towns and taste the local wines. 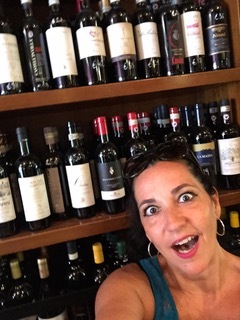 Chianti is my favorite and nowhere else in Italy can you find a better production of it than in its namesake town. So that’s what I set out to do. My favorite memory from this past summer is when, quite by accident, I stumbled on this tiny eatery tucked in an alcove along an old cobblestone street. Feeling a bit hungry I popped in the doorway into the cool dim entrance. As my eyes cleared I thought I had found heaven! Every wall, floor to ceiling was wine. Bottles from every corner of Italy lined the shelves screaming to be tried. I’d found nirvana and I immediately knew I needed to sit and indulge. For the next two hours, I ate, drank delicious local wines and chatted with the very friendly staff. It will remain my favorite memory until I meander into another restaurant encased in wine. We hoped you enjoyed the summer wine memories that the people working at Fattoria di Montemaggio shared with you. We wanted to have something to warm up the mind when the fall is advancing step by step now in September.